Umbrella strollers are a lightweight, compact, and affordable option for parents of young children. This extremely maneuverable style of stroller can be a highly convenient choice for on-the-go parents. Often manufactured with lightweight fabric and a collapsible feature, umbrella strollers are easy to travel with and pull out whenever required. An umbrella stroller is lightweight baby stroller that has the ability to collapse into a much smaller size. It’s weightless and foldable design makes the umbrella stroller suitable for traveling families, as it can be easily stored and reassembled. This stroller gets its name from is easily foldable structure, umbrella J-shaped handles, and sun/rain shield. Umbrella strollers are popular for use on public transport, use in shopping malls, or even use at carnivals and outdoor festivals. 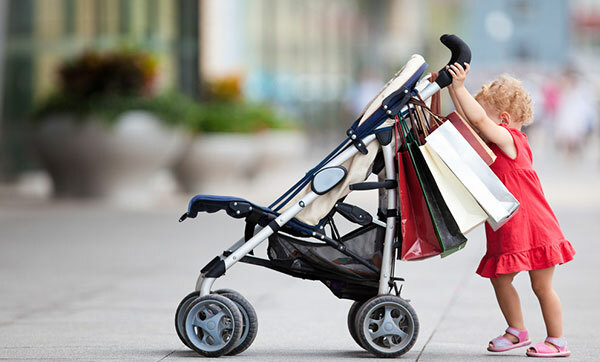 An umbrella stroller can be the perfect addition to your child’s collection of necessities, however ensuring that your child is in the ideal age range to use one is crucial. Is your child old enough for an umbrella stroller? There are various designs of umbrella strollers. While some may be suitable for slightly younger babies, others are better suited for toddlers and bigger babies. The age that is most safe to use an umbrella stroller with your child depends on the manufacturer’s design of the stroller. Some umbrella strollers have a recline feature that allows the backrest to recline, which enables the child to lie horizontally. These strollers are great for younger babies that are only a few months old. 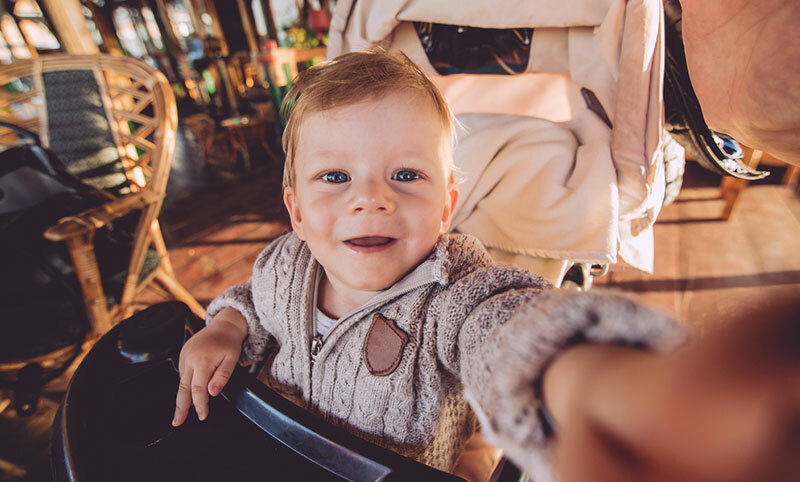 Younger babies have not developed the supportive neck and back muscles that will allow them to remain in a seated position throughout their stroller journey, therefore the recline feature would be highly useful. Babies that have developed their required neck and back muscles would best benefit from the umbrella strollers that allow them the ability to sit up as opposed to laying down. Are Umbrella Strollers Safe For Infants? Infants are bundles of joy that are new to the world. Infants need to be loved and protected from harm’s way at all times. This includes choosing a stroller that is compatible with your needs as a parent. As the parent of an infant child, you are still able to experience the great pros of an umbrella stroller. However, you do need to critically evaluate the key features of the umbrella stroller prior to making the decision to purchase it. If you are opting for an umbrella stroller for your infant, ensure that there is optimal padding and cushioning around the seat. Seeing that infants’ supportive neck and back muscles are yet to be developed, extra cushioning will be required. Not only will the padding provide support for the baby’s neck and back, but it will also ensure that the baby’s stroller experience is a comfortable one. Your typical umbrella strollers with extremely thin fabric are not recommended for infants due to the lack of support that is provided. 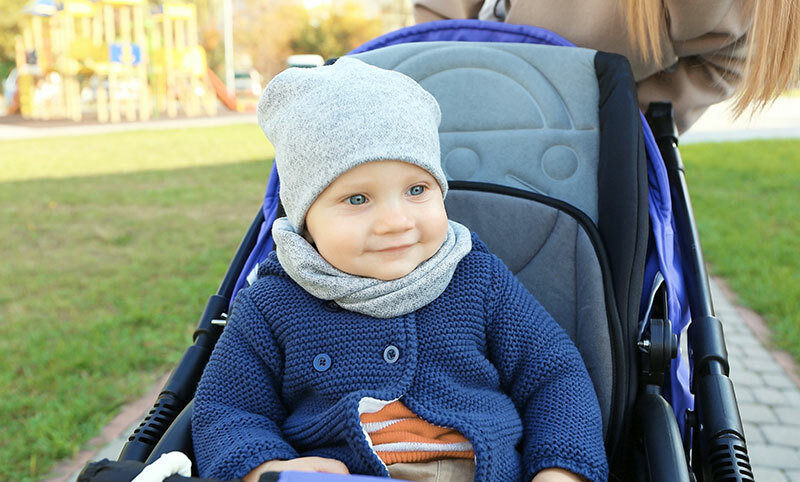 Once the baby is capable of sitting upright on their own, usually from 4 to 7 months of age, then it is safer to use an umbrella stroller with less padding. Is My Child Ready For an Umbrella Stroller? 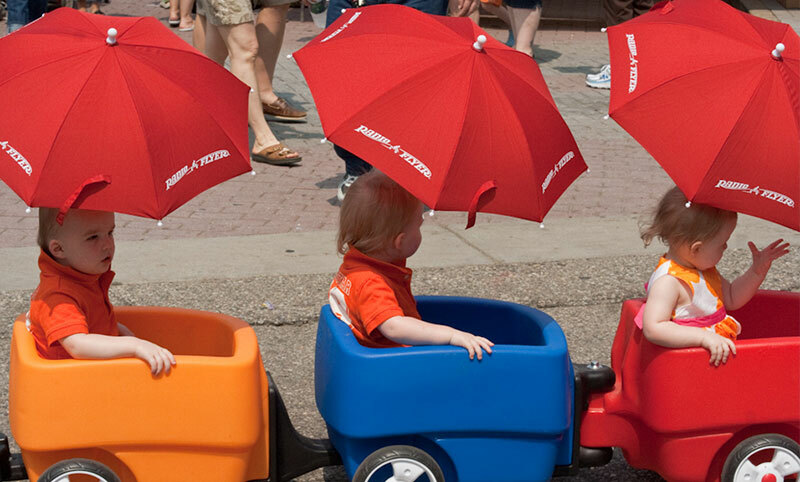 Umbrella strollers come in several styles, each offering unique features that are suitable for babies and toddlers during their various stages of growth. Regardless of how young your baby is, there are umbrella strollers on the market that will comfortably suit your child and put your parental worries at ease. Take into consideration all of your child’s needs and choose wisely. Choosing the right umbrella stroller can help turn short journeys from a chore to a delight.